Republican intransigence at the federal level – saying ‘No way!’ to President Obama’s Supreme Court nominee – has cost Republicans one of their favorite initiatives: so-called right to work. Because the nation’s highest court is stuck at eight members, it deadlocked Tuesday on a case that would have struck down right to work, fair share, or agency fees, as they are called. Unions are happy with the decision, but they know their joy could be turned upside down if the next president appoints someone who is anti-union. “The whole thing behind Friedrichs was to weaken organized labor, especially in the public sector, where more workers belong to unions,” AFSCME District Council 88 Director Tom Tosti told the Philadelphia Inquirer following the SCOTUS ruling. Ironically, Tosti said the employees who complain about paying agency fees are usually the ones who want a union’s help if they have a grievance. It’s a good thing Pennsylvania has some companies who understand the difference between fair and miserly. The University of Pittsburgh Medical Center announced this week that it will be raising its minimum wage way past my proposal for $10.10. – to $15! 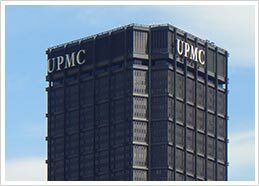 The increase to that number will happen over a period of five years, UPMC officials said. But it’s happening. The hospital employs some 62,000 workers and now pays an average starting salary of $11.73/hour for Pittsburgh-based workers. Is it only obvious to me and fellow supporters of a higher minimum wage that the #1 concern wouldn’t be a problem if the #2 concern was healthier than the current $7.25 an hour? Academic and economic studies say – no, prove – that higher a minimum wage lowers the frequency of turnover. Stop the nonsense arguments about keeping hardworking frontline workers from earning a fairer, more human wage. Raise the minimum wage! Restaurants are making a ton of money and are currently “on a hiring binge.” Just let the Nation’s Restaurant News tell you the story itself. By the way, few restaurateurs are concerned about healthcare costs because they just let their “valued” employees buy coverage through Obamacare. No new bills were referred to the committee this week.